family style: When Mike and Emilee Lata bought the centuries-old abode, the kitchen was outdated, with low ceilings and a lack of natural light. 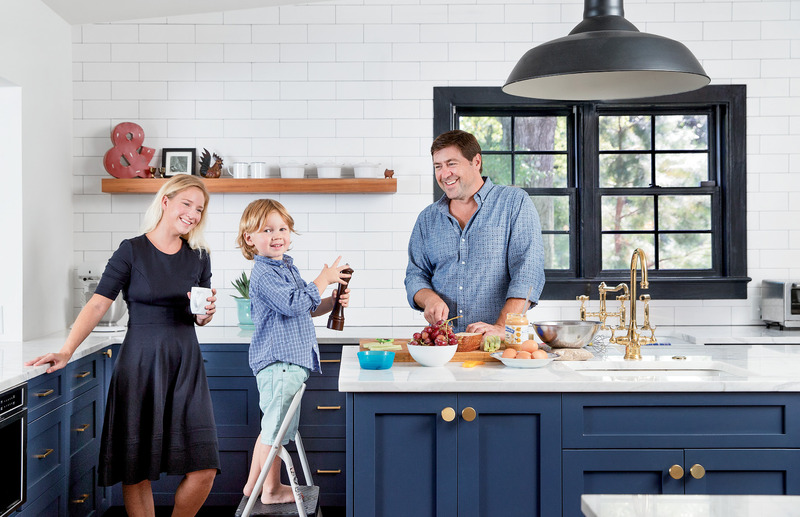 The couple (pictured here with son Henry) worked with David Thompson Architects and Renew Urban to take the cooking space down to the studs and redesign it with a luxe farmhouse vibe. 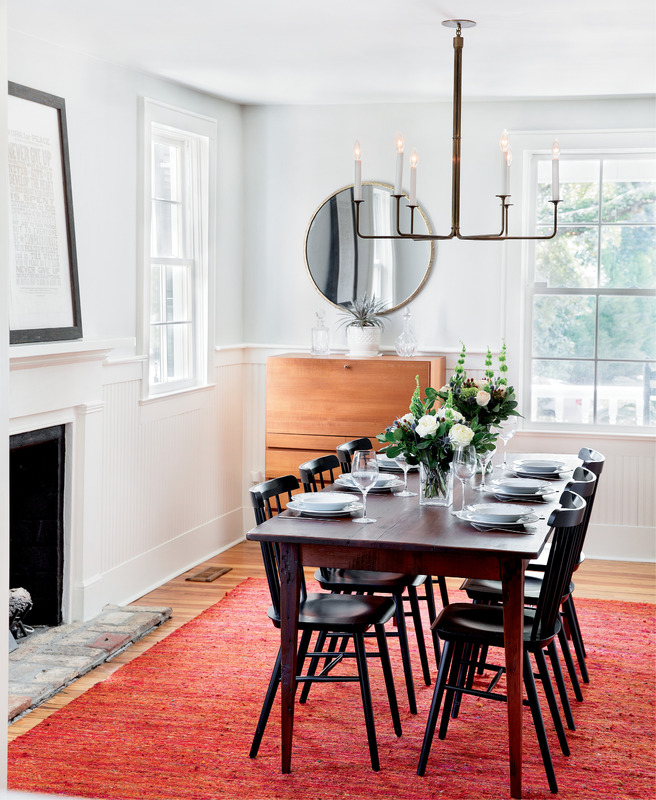 serving well: Aside from the addition of some period-sensitive beadboard, the dining room retains much of its centuries-old character. Henry whips up some pretend grub in his playroom, which retains its 18th-century footprint, as does his adjoining bedroom. 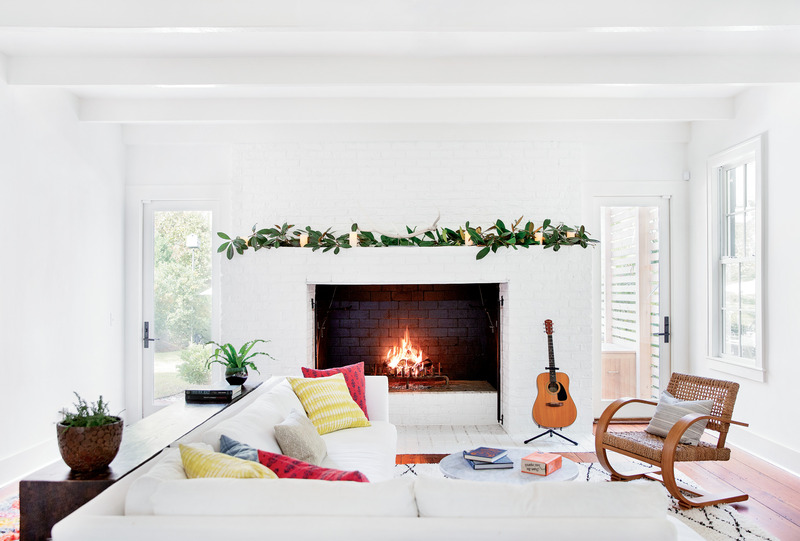 where the hearth is: Thompson redesigned the rear addition, thought to have been built in the 1980s or ’90s, to open the living room—with its massive, inviting fireplace—to the rest of the house. French doors lead to a pool and a striking cabana designed by David Thompson. historic pedigree: The Dutch Colonial farmhouse, originally called the Heyward-Cuthbert House, was built in the 1740s by Thomas Heyward Sr. and is one of the oldest homes on James Island. When a top chef goes house hunting, one would imagine he’d seek an abode with a killer cooking space. 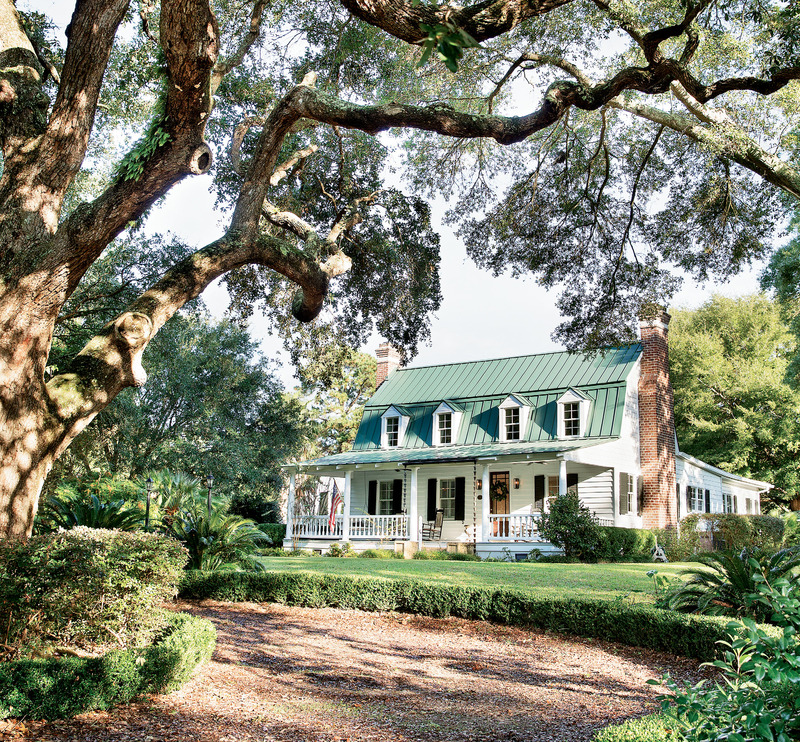 But two years ago, when Mike Lata bought an almost 300-year-old Dutch Colonial farmhouse on James Island, the scullery was not among the historic manse’s many charms. “The kitchen made me anxious,” he admits. For one thing, the seven-and-a-half-foot ceilings could barely contain the strapping chef and restaurateur’s six-foot, one-inch frame. Plus, the finishes were outdated, the layout and placement of appliances felt awkward, and a lack of natural light made the whole place feel dark and uninspired. Still, Mike and his wife, Emilee, were wooed by the 2,800-square-foot home’s rich history: it was built by Thomas Heyward Sr., whose descendants include a signer of the Declaration of Independence and DuBose Heyward of Porgy fame; years later, during the Civil War, the house was converted into a hospital for smallpox patients. Subsequent owners added onto the original structure and, for the most part, those additions—from a rear build-out that added about 800 square feet in the 1980s or ’90s to a pool and pool house put up in 2007—have only made the abode more attractive. Plus, the expansive two-acre lot dotted with Leyland cypress meant there would be plenty of open space for their three-year-old son, Henry, to explore. Pushing any cooking-related anxieties aside, they took the plunge and made an offer, figuring the kitchen could be spruced up. Since that initial encounter, the traditional façade, which is framed by two massive oaks that look to be even older than the building itself, hasn’t really changed. In fact, it still looks much as it has for centuries—and that suits the Latas just fine. “We wanted to keep the integrity and history of the house alive,” Emilee notes. This preservationist mind-set is reflected throughout much of the original structure. Upstairs, Henry’s bedroom and playroom, as well as the adjacent guest room, retain their 18th-century footprint and materials, including the pine floors and beadboard walls. The dining room, located right off the front entry, has also been carefully preserved, though the Latas brought in period-appropriate beadboard wainscoting to give the room a bit of dimension. “The house has great old bones that we wanted to expose and honor, but we wanted to add a modern touch, too,” Emilee explains. With that in mind, Thompson removed a wall to better integrate the living room and its massive hearth with the rest of the home. 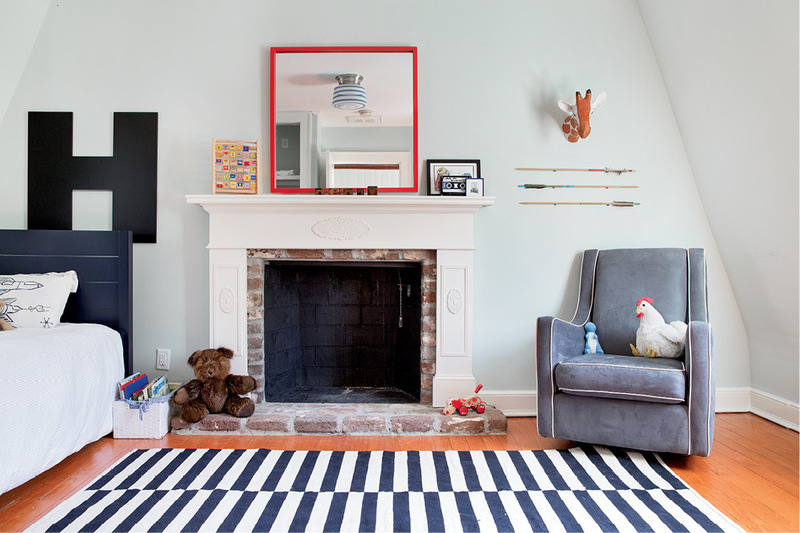 This connection is particularly important as the fireplace is a favorite gathering spot—“and it’s big enough for a pig roast!” notes Emilee. The Latas love to entertain, and in fact, hosted upwards of 150 guests for Charleston Wine + Food’s Clam Bake last spring; a roasting pig just might be the centerpiece of their next big shindig. On the flip side, when the couple is craving quiet relaxation, they turn to their refreshed master suite. Previously a jumble of smaller rooms, Thompson reimagined the space with an open layout that flows from sleeping area to dressing room to spa bath. Here, new and old happily coexist. For example, in the bath area, an original brick fireplace warms up a sleek freestanding soaking tub and modern shower. Throughout the home, they resisted the urge to pepper in clutter and tchotchkes; as Emilee points out, minimal décor and a neutral palette cultivate an “open, clean, and comfortable feel,” allowing different eras to live together in harmony. The resulting simplicity lets the luxuries really shine—like new French doors that provide pool access from the master suite. When the mood strikes, the couple can fling them open and take a dip, or just hang out on the patio under the stunning new wooden cabana dreamed up by Thompson. This sweet spot is where you’ll likely find the whole gang—including cats Major Peppers and Sweet Pickles, named for the family’s first fruitful gardening season—on any given evening.